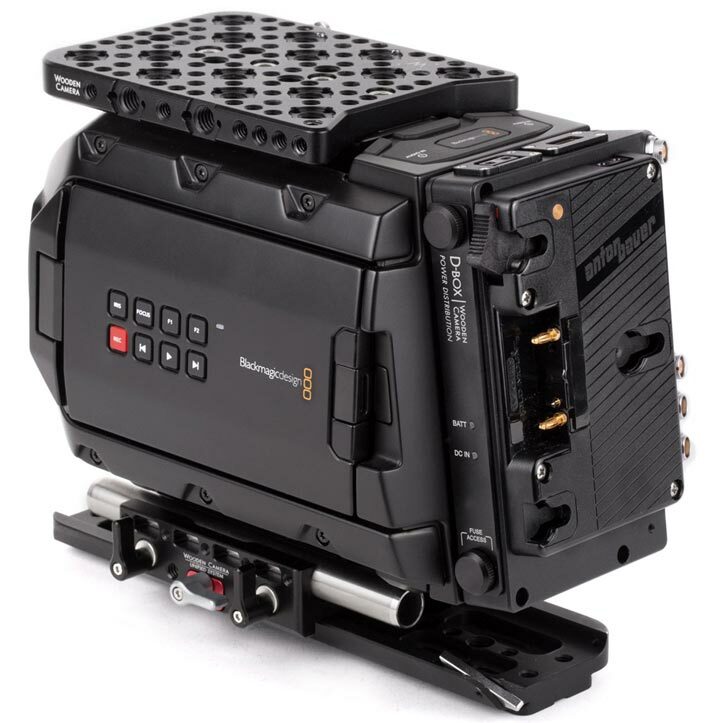 D-Box (URSA Mini, Gold Mount) is a custom version of our popular D-Box that adds power distribution, standardized remote start/stop, and hot swap capability to the Blackmagic URSA Mini Pro EF Mount, PL Mount, and B4 Mount cameras. 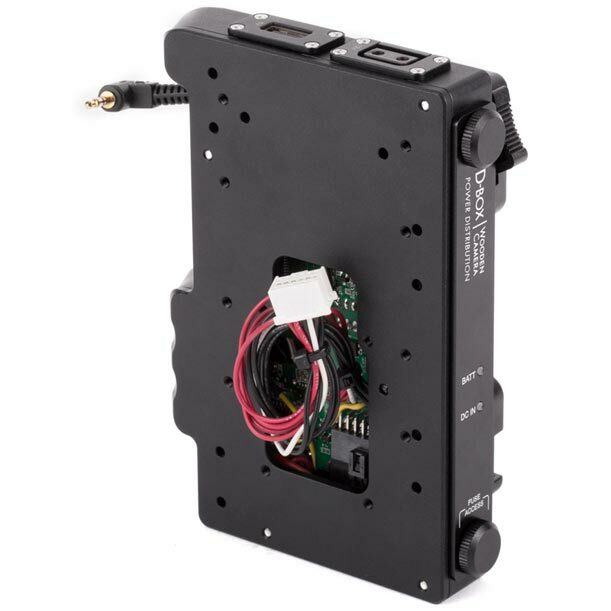 The D-Box attaches directly to the back of the camera body using a special Molex connector eliminating external cabling. It also interfaces with the rear LANC port which is how the D-Box controls the camera's run/stop. 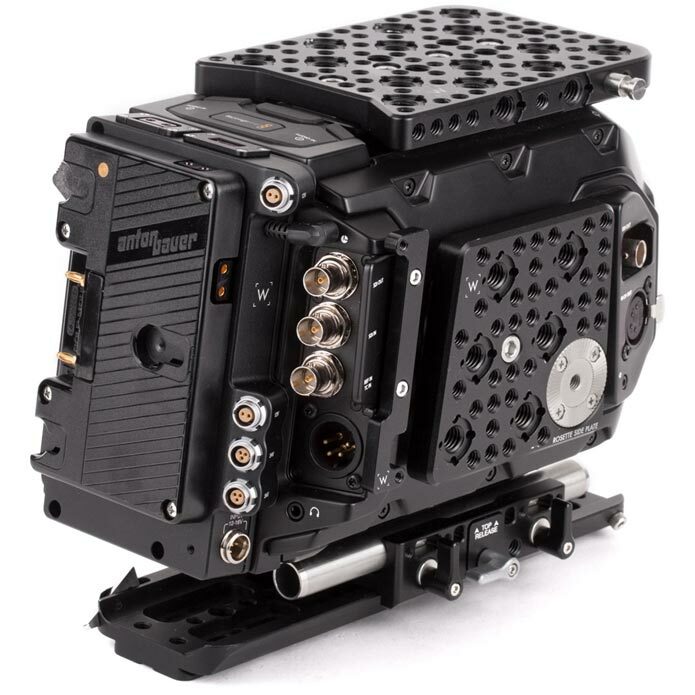 Connectors on the D-Box are contoured inline with the URSA Mini body, streamlining port connections and cable management. 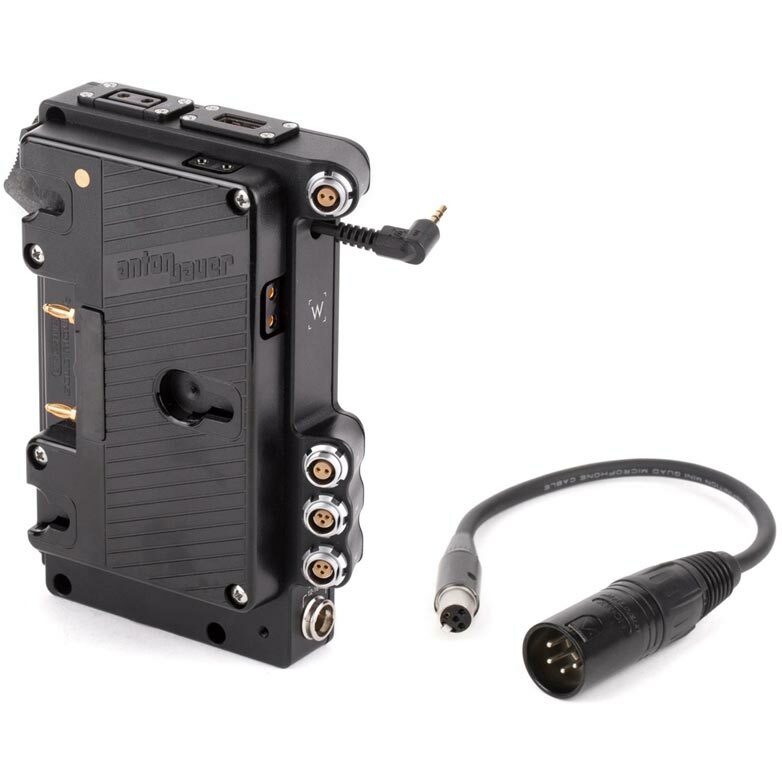 The module also provides two 3pin Fischer ports, allowing start/stop with any ARRI standard trigger device. 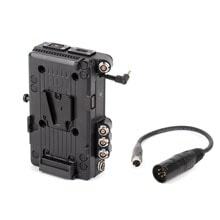 The D-Box is equipped with a Mini 4pin XLR DC Input and includes a Mini 4pin XLR to Full 4pin XLR pigtail cable allowing an AC power supply or external power plate to be connected to power the camera and accessories during a battery change. When both battery and DC input are utilized, the D-Box defaults to the DC input, leaving the battery fully charged. Authentic Anton Bauer Gold Mount plate provides 2x D-Tap (unregulated) on the power plate itself but we should note that one D-Tap may be obscured by the right side BNC connectors when in use. 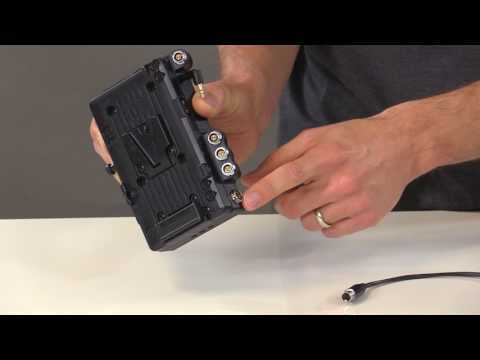 The camera receives an unfused connection to the power source and the D-Box connectors share a 7.5A fuse. When using D-Box battery modules it is important to know what amount of power your batteries are capable of providing. Most high-end cinema batteries can supply up to 10A with the URSA Mini camera generally consuming 3-4A in standard configuration. Although the remaining power is available from the D-Taps, compatible connectors, Fischers, etc., it is best to limit the power draw to 5A or less for best results. Consuming more power than a battery is capable of providing will cause the battery to shut itself off, killing the camera and accessory power.